Eating right and taking vitamins to stay healthy is vital for people of any age, but it holds particular significance for seniors. Many who follow a balanced diet and vitamin routine are still at risk of developing a potentially serious deficiency of vitamin B12. The National Health and Nutrition Examination Survey (NHANES) estimates 3.2% of adults over 50 have a seriously low level of B12, while up to 20% have some degree of deficiency. Vitamin B12 is key to creating red blood cells and ensuring nerve cells function correctly. When the levels are not sufficient, problems begin to arise. Low levels of B12 present the same symptoms regardless of age. Impaired Brain Function: When the nerve cells are not working correctly in the brain, it can lead to memory loss, behavioral changes, depression, and even dementia. Anemia: Low B12 hinders the body’s ability to create new and healthy red blood cells. Anemia is a low red blood cell count which can cause shortness of breath, headaches, lightheadedness, and fatigue. When the unhealthy red blood cells break down, it can lead to yellowing of the skin. Neuropathy: Nerve cells that malfunction in the body can cause various symptoms. These include tingling and numbness, changes in mobility, weakness, and fatigue. To diagnose a B12 deficiency, a blood test is used. Folate deficiency can cause similar symptoms, so often your doctor will test the levels of both at the same time. Folate deficiency, however, is less common. If the results of the B12 testing aren’t definitive, the doctor may order another test known as a methylmalonic acid test. Methylmalonic acid levels are higher in individuals who are deficient in vitamin B12. Once a deficiency is confirmed, the doctor will prescribe or recommend B12 supplements to return the levels back to normal. In the case of a severe deficiency, intramuscular shots may be administered at first to restore levels and may need to be continued as the standard method of treatment, especially for those who often forget to take medications regularly. Additional testing to identify the cause of the low levels of vitamin B12 may be performed if the doctor recommends them. 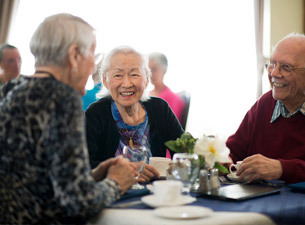 At The Holiday retirement communities, we offer a variety of activities, games, entertainment and programs to help seniors live their life to the fullest. With regular excursions and outdoor events, we provide many different options to help keep our residents engaged, active, and happy. We take care of each one of our residents like they are our own family. 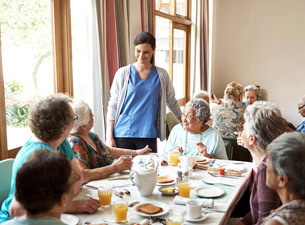 Give us a call at 860-233-8208 to learn more about the services and amenities we provide at our independent living facility in West Hartford, Connecticut. Fill out this online form if you would like to book a tour.